Kelowna’s rainfall this year is 100 millimetres less than normal. 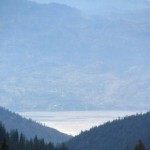 And Okanagan Lake is a metre below full pool. With the average annual precipitation in the valley only 280 mm, that shortage is significant. 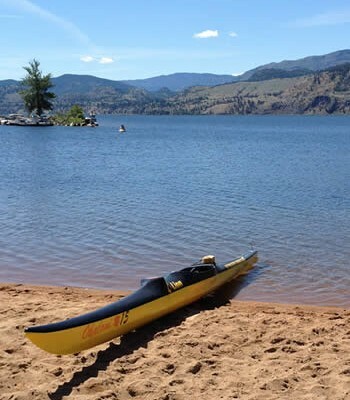 Last year’s snowpack was also lower than normal, resulting in some reservoirs not filling by the end of the spring freshet, including Okanagan Lake. Now, some water purveyors are concerned that if this winter doesn’t end with a normal accumulation of snow at higher elevations, users could be faced with even more restrictive water conservation measures. 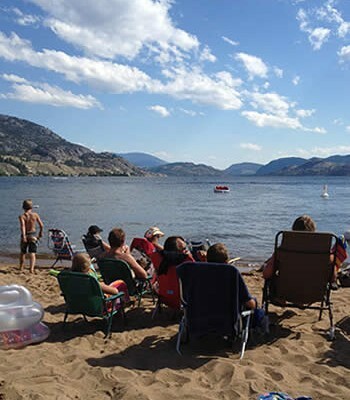 In the South East Kelowna Irrigation District, manager Toby Pike says it has less than 30 per cent of its capacity remaining in the McCulloch Lake reservoir, even though the month-by-month use, compared to the 14-year average, is good. But the summer started terribly, he added, with a low snowpack that resulted in the reservoir not filling. 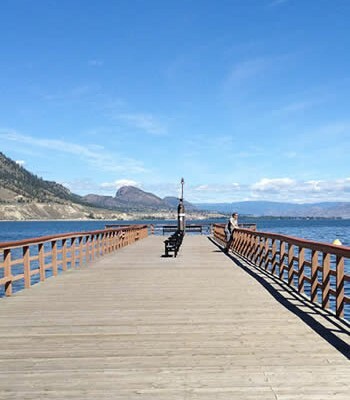 June, normally the wettest month of the year in the Okanagan, saw just over a third of its normal rainfall and the only significant rainfall through summer was on Aug. 14, when 34 mm fell in one day. That was more than in any month so far this year. Pike said that single rainfall provided the district’s users with 10 days’ worth of water, the equivalent of one cycle through all the orchards. SEKID’s board restricted growers’ water budget by 20 per cent this summer because of the dry conditions, and implemented domestic water restrictions limiting outdoor sprinkling to twice a week. The same restrictions were imposed in the Westbank Irrigation District at the beginning of the season because reservoirs there also didn’t fill. Manager Brian Jamieson said users saved 670 megalitres of water in the reservoir with their conservation measures but, in all six reservoirs on the system, there’s only 54.4 per cent of capacity remaining, or 10,500 megalitres. 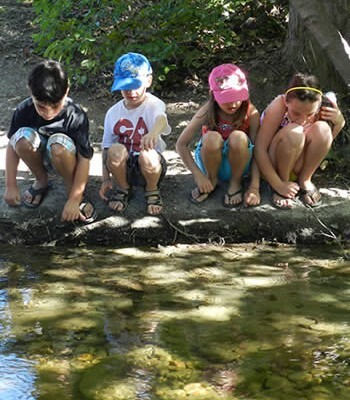 Last year at this time there was 62 per cent of capacity remaining. “We were drawing down our reservoirs before they’d even filled this year,” he said. Now, both he and Pike are concerned about what impact another low snowpack could have on water supplies. Once a reservoir doesn’t fill in spring, it requires more than the normal runoff to fill the next year. The next stage in Westbank’s drought management plan would see domestic water use restricted to outdoor sprinkling only once a week, followed by no outdoor watering if there are still drought conditions in the valley. In the Glenmore-Ellison Improvement District, manager Nancy Howlett said she’s glad the irrigation season ended this week because her system’s reservoirs are less than half-full, where normally at this time they’re more than half-full. “Considering the hot, dry summer weather we had, users have done well conserving water,” she said. 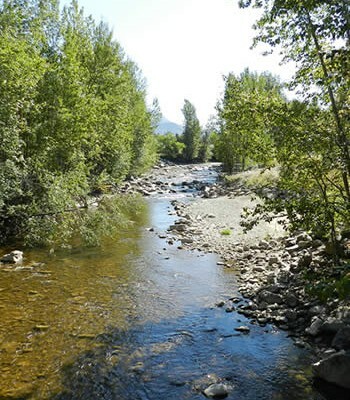 In the Lakeview Irrigation District, James Moller echoed that, noting better water management has actually resulted in the district having more water remaining than last year at this time. “Customers are being proactive and are using less. We’re installing water metres, but we’re not using them yet,” he said. 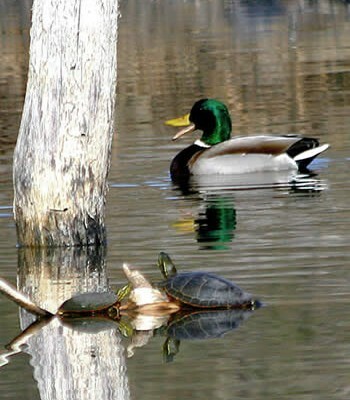 On the other side of the coin, the Black Mountain Irrigation District has 45 per cent of capacity remaining in its reservoirs, but manager Bob Hrasko is not concerned. The district has a very large catchment area and some of it is at a very high elevation. But he admited another low snowpack would mean BMID would have to be careful. Even the groundwater-based Rutland Waterworks is experiencing a drop in aquifer levels, said manager Peter Preston. Although well levels usually recover in the spring, this year there wasn’t the normal recharge, he said. There are 14 producing wells in the area but over the winter, usually only two are in use. If water restrictions are not enough to conserve water, BMID will have to use well selection, he said, becuase some are deeper into the aquifer than others. 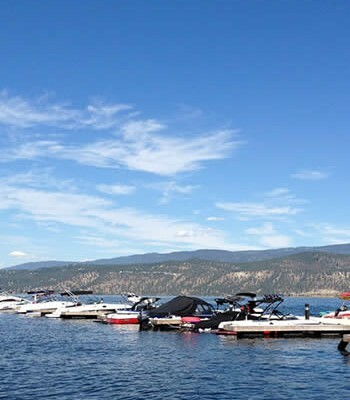 Although the reservoir used by the City of Kelowna is larger than the high-elevation reservoirs used by most other utilities in the area, city utility services manager Don Degen said Kelowna is also concerned about the dropping level of Okanagan Lake. The good news, he noted, is that despite a growing population and very dry summer, demand didn’t go up over the summer, which he attributed to the message about the need for water conservation getting out to the public. 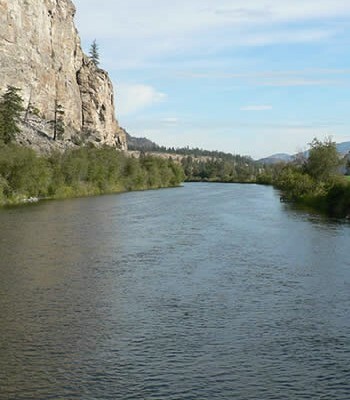 Allan Chapman, head of the River Forecast Centre for B.C., reported extremely low stream flows throughout the southern interior, due to low snowpacks last winter, and an extremely hot and dry summer. Watersheds will enter winter with significantly diminished groundwater and soil water, depleted lake reservoir levels and low river levels. “Depending on snow conditions over the upcoming winter, conditions at the end of winter throughout the south and central interior will need to be above normal to produce near normal water supply next summer,” he said. But, he added, the province is currently being affected by moderate El Nino conditions, which produce below normal snow packs.